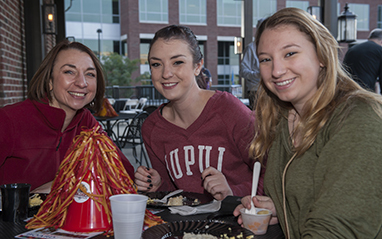 Gather up the family and join your IUPUI student for brunch on the canal as we gear up for the 11th Annual Regatta! Throughout the day, you’ll enjoy the thrills and spills of IUPUI’s largest student-run campus event. 200 teams and thousands of people will line the banks of the downtown Indianapolis Canal for what proves to be a wet and wild time. Cost is only $12/person and pre-registration is strongly encouraged to ensure your spot at the table! Kids 12 and under eat free. Pre-registration for the family breakfast opens in mid-2019.